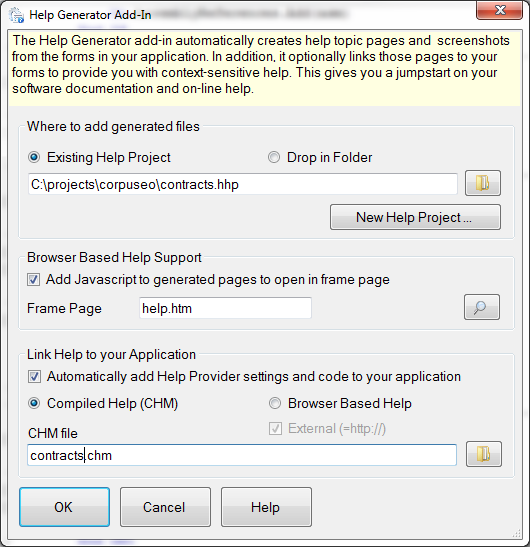 The Help Generator add-in scans the application user interface and creates topic pages for each form (WinForms or WPF forms). Each page contains one or more screenshot images with hotspots to the controls sections. In addition it optionally links the generated pages as context sensitive help to your application using Help Providers. 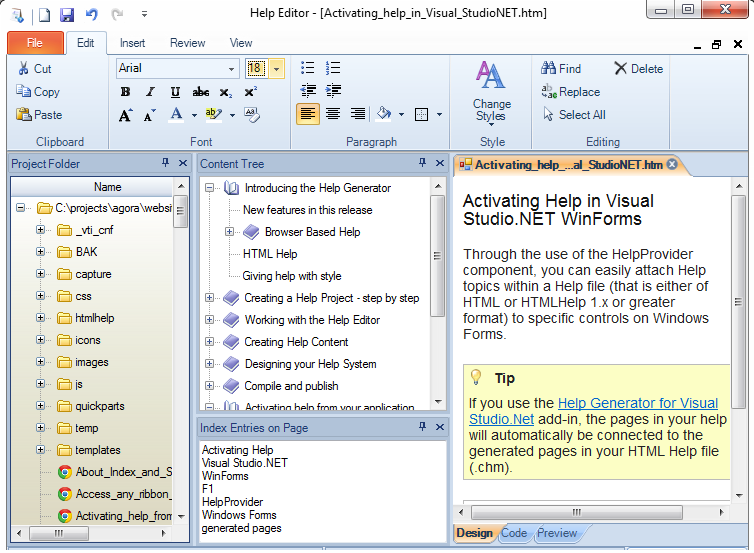 The Help Generator add-in works with Visual Studio 2005 up to 2017-all editions- except Express.